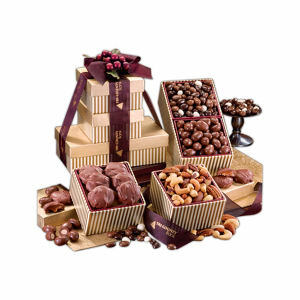 Food gifts are favorite at holiday time. They can be shared in an office or family. With the season approaching, factories are giving special deals for early ordering. 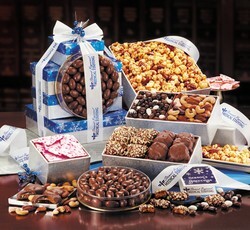 Maple Ridge Farm offers fresh candies-including mints, crunchy toffee, dipped cookies, fresh chocolate covered almonds, brownies, cookies, nuts, smoked ham, turkeys and more, all packaged with your logo either on the gift item or the ribbon on the package. 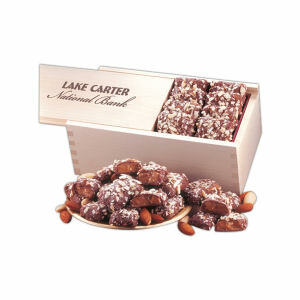 There’s a price point for every budget from 2.09 for individually wrapped cookies to 199.95 for art deco beverage tubs. Price includes your logo imprint. Fresh packed when you order ships, not months before like retail outlets. 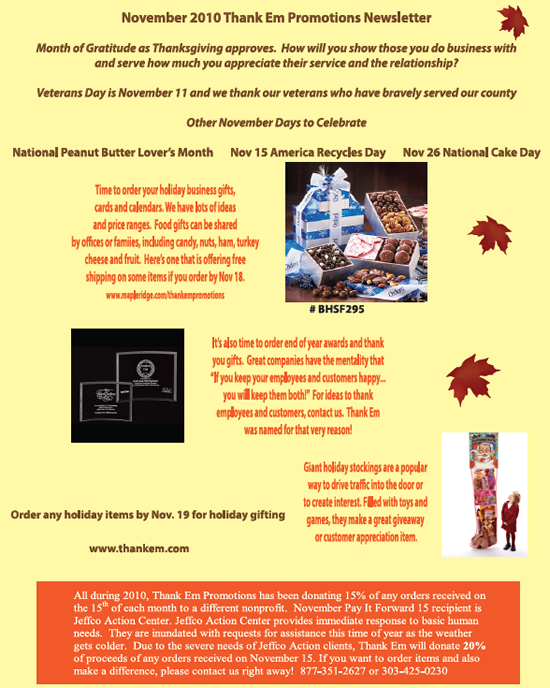 Don’t delay if you want to save some time and energy this holiday season. 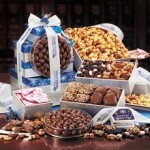 If you need sugar free gifts, there are many nut or pretzel choices that make memorable gifts. 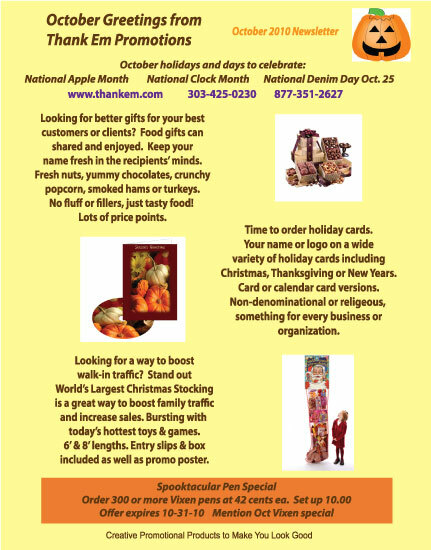 Time to order holiday cards, calendars, office gifts and customer appreciation items.